Feeling boxed in, the company that pushed the boundaries of modular building is cutting out of the business. Developer Forest City Ratner is selling its factory in the Brooklyn Navy Yard to a Roger Krulak, a former executive at the company. 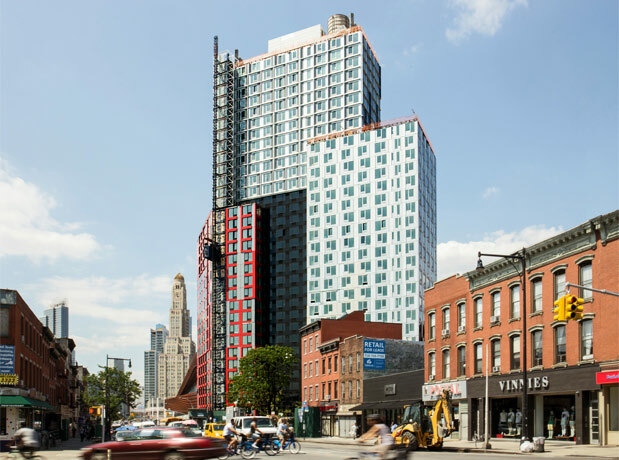 The Navy Yard facility produced 930 units for the world’s tallest modular structure—461 Dean Street, a 32-story tower in Pacific Park (née Atlantic Yards) designed by SHoP. Unlike Apple, though, which comes out with new iPhones annually, 461 Dean Street tower took four years to construct. This was due in part to the building’s structural issues, but also to long-running disagreements between Forest City and Skanska, which ran the factory until Forest City regained control to streamline operations. The project has the dubious honor of having one of the most languid construction timelines for a tower of its size in city history, the New York Times reports. 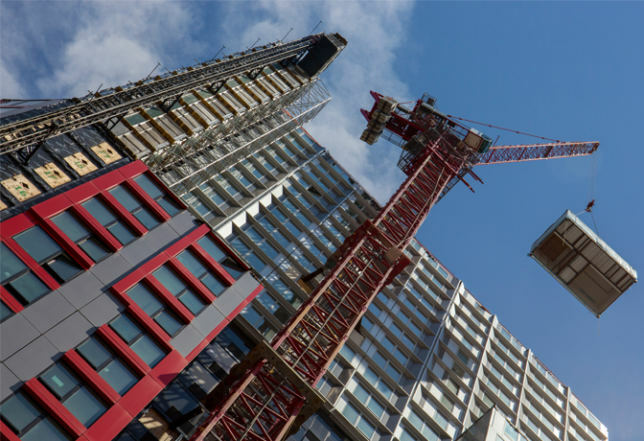 Despite setbacks, modular building is appealing because all of a building’s parts can be made at one site, shielded from the elements, under the watchful eye of the project’s designers and engineers. Although low- and lower-rise buildings, like nArchitects’ Carmel Place, are soundly modular, the Dean Street building needed extra engineering, primarily steel reinforcement to provide resilience against high winds. Although modular has more than proved its merit in smaller projects, 461 Dean Street tested the technology’s limits. It remains to be seen how Krulak, and other players like Capsys, will scale modular to meet its lofty aspirations. For his part, Krulak estimates that his company, Full Stack Modular, could help clients save up to 20 percent on the project’s cost. December 21, 2018 Take a look behind the construction of the tallest modular hotel in the U.S.